In our first post we saw how useful game theory is for analyzing strategic situations, and in this second post of our series Understanding Coinffeine’s protocol we will return to game theory. The next concept that interests us is mutual assured destruction, a concept closely related to the years of the Cold War. 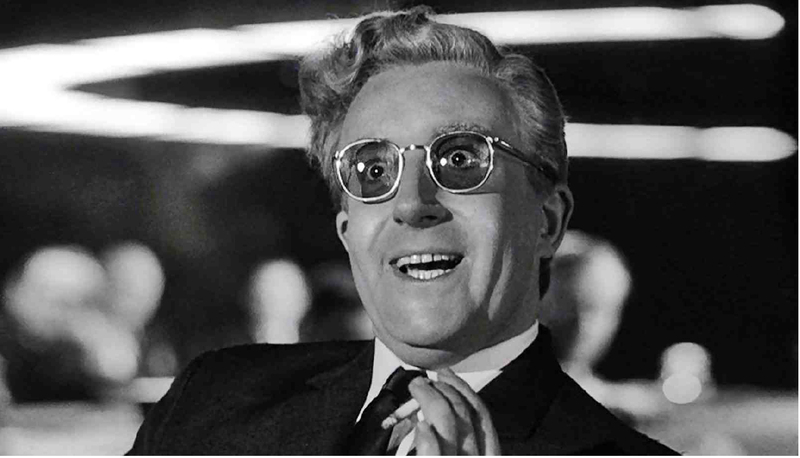 To get some atmosphere going, we can think of the cult film classic: Dr. Strangelove or: How I Learned to Stop Worrying and Love the Bomb where Peter Sellers plays a scientist who is actually a parody of our friend Von Neumann (or if you prefer film in color, watch WarGames). In this game, which is the Cold War, we have two rational players, USA and the USSR, both with a high regard for their own survival. At that time nuclear power was already developed, and had sadly been used as a closing ceremony of the Second World War. Both powers had entered into an arms race which, if continued, could have ended with humanity on several occasions. For years it seemed that nuclear war was about to happen anytime, but it never did. The answer to this is the fact that both players had the ability to respond to a nuclear attack, even if it was a last resort and losses would be dramatic on both sides. The advantage of being the first to attack was insignificant compared to the losses it would cause. And it justified the cost of always having intercontinental missiles ready, and nuclear submarines or planes circling the Arctic to be able to respond to an attack. If we take stock of the possible outcomes in a table, we can see that the best answer to not attack is not attack, and in the event that the other player attacks it is indifferent what we do. Unlike the prisoner’s dilemma it is not enough to find the dominant solutions. In this case, we need the next best thing, a Nash equilibrium (and yes, there is a film about it). These equilibrium situations occur when each player can not improve his situation by changing his strategy if the other player persists. In the game we have presented as an example, we find two equilibriums: (Not attack, Not attack) and (Attack, Attack). A Nash equilibrium is a stable situation by definition and, therefore, in real life are often end up giving or aspire to these kind of results. However, not all equilibriums does necessarily happen. Given the consequences in this game, we get a happy ending (Not attack, Not attack), as happened for example during the Cuban Missile Crisis. 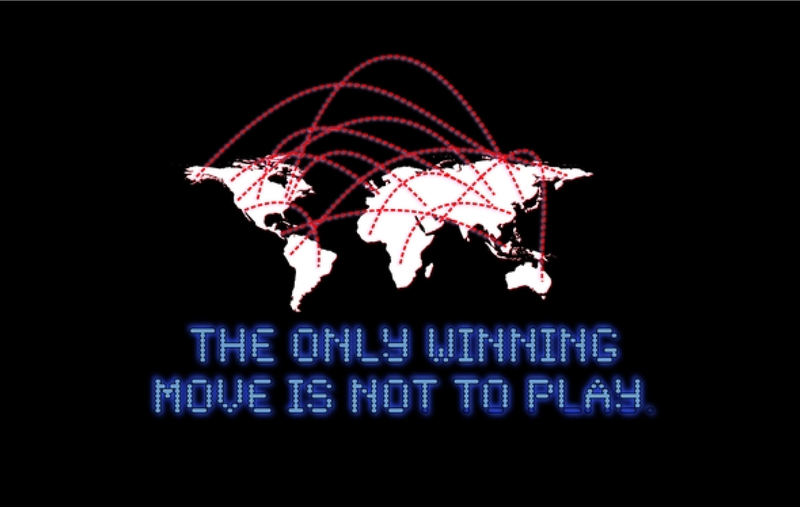 The lesson we can draw from this game is that you do not need a trusted third party if we have a mechanism that makes you lose more than you could win when the path of collaboration is left behind. This principle is very important to design a decentralized exchange protocol as Coinffeine, and to avoid aberrations such as “preventive wars”. The next ingredient we need to get familiar with is the concept of strategic moves. 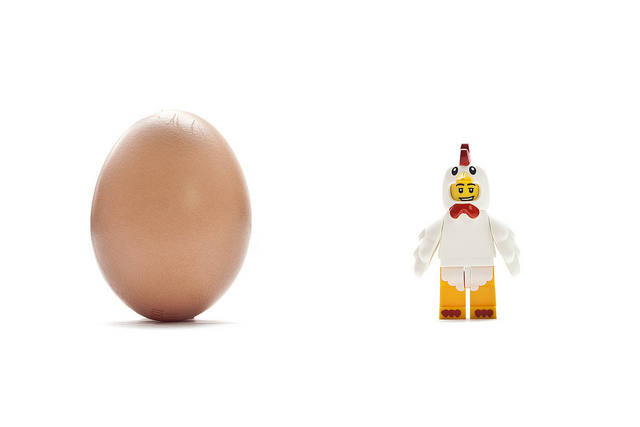 We will illustrate it with the game of “chicken” (Yes, you are right! 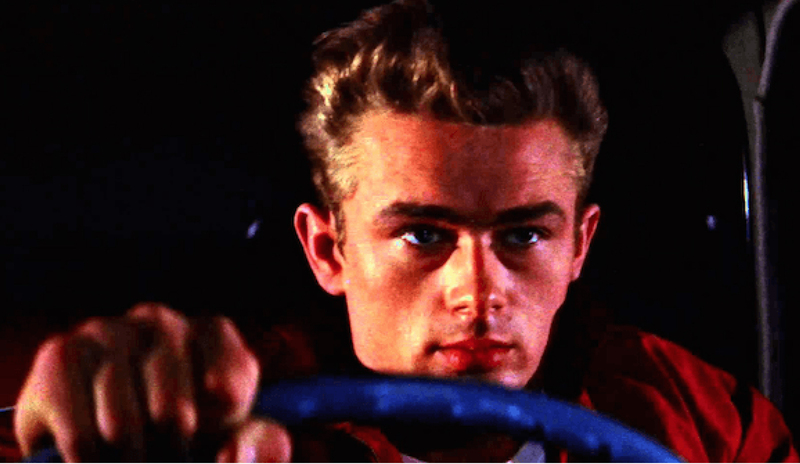 Rebel Without a Cause is a representation of this game). The term “chicken” is a metaphor in which two sides are locked in an escalating situation, where none have nothing to gain and where only pride prevents them from pulling out. It is represented as a race in which two vehicles deliberately are driving on a collision course. The first to swerve is a coward ( or a “chicken”) he loses pride and the other wins. If both swerve no one loses anything, whereas if both continue they will crash and die. A quick glance at the table makes us realize that it does not exist a dominant strategy. If one of the drivers swerves, the best strategy for the other driver is to continue. However, if one of the drivers does not swerve, the best strategy for the other driver would be to swerve. As in the prisoner’s dilemma, this type of situations are common in the real world. A strategic move is to modify the game to change the outcome and to change the balance. This would happen if driver 1 rips off the steering wheel, and throws it out of the window so the other driver realizes that his choices have been reduced dramatically. As a result we have a new game where there is a dominant strategy for driver 2: Swerve is the only option, as death (-∞) awaits him if he continues. In the next post we will present the Coinffeine protocol as a game, applying all these concepts.